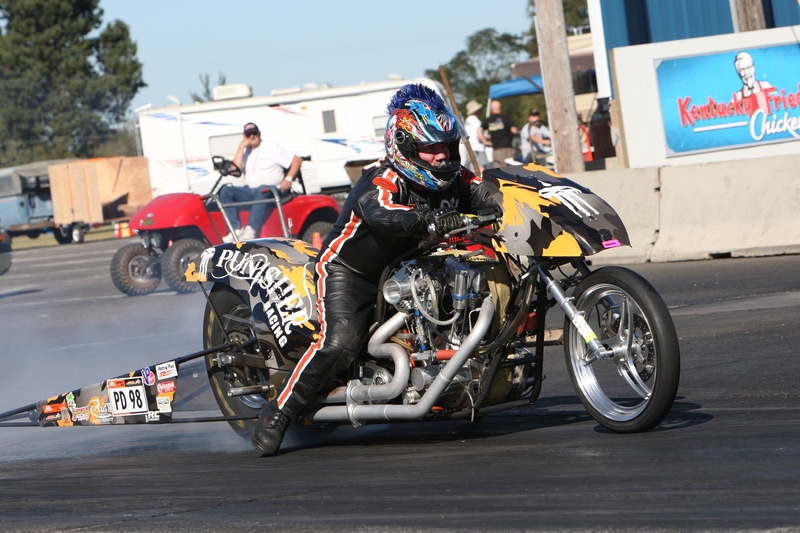 Punisher Racing and Dale Nilles is back to his old form on his new ProDrag bike with his win at the Northwest Nitro Nationals in Woodburn, Oregon. This was his 5th final in a row winning 2 of them. Dale won the AMRA Summer event in Bowling Green, Kentucky on June 23rd and 24th – this being his first race back after his accident at the Rockingham Spring Nationals event in Rockingham, North Carolina. Dale had to miss 3 races before he could return. Dale is currently sitting 4th in the points for the National Championship with three races left in the season. Thanks to wife and team, Jan Nilles, teammates Max Morath and Stephen Vickers. Rich Vreeland of Vreeland Harley Davidson and their race team, High Country Harley Davidson, Venom Batteries, Vanson Leathers, PMFR, Mickey Thompson tires, VP Racing and PR Factory Store. 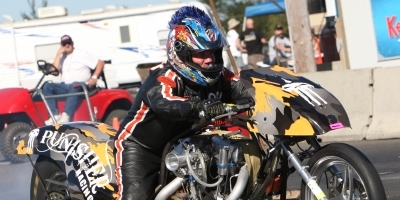 Johnny Vickers of Hawaya Racing for building such an incredible bike and Johnny and Leanne’s support throughout the entire season, and Tara, Travis and Easton Jett Nilles for my inspiration. Next race will be the Liberty Nitro Nationals in Numidia, Pennsylvania on September 8th and 9th.